Are you planning to install air conditioners in your compound? If yes then you do not have to buy expensive artificial air conditioners. Trees are the cheapest and the only nature air conditioners. You might be wandering what I mean by saying that trees are air conditioners. What I mean is that those trees that are in your compound if you take care of them, they can act as the perfect air conditioners. You only need to remove the unwanted trees and trim those that need trimming. Your way tree service Inc has been recognized for being one of the best companies offering tree services. Too many trees of unsuitable kinds can deny the garden light, soil and moisture making it impossible to grow anything else well. But a few well chosen and placed trees can give a garden an aesthetic look and provide summer shade. Well trimmed trees will also allow air to circulate well on your compound. When the wind is blowing the branches will minimize the speed of the wind and hence air current will flow swiftly just like that of the artificial air conditioners. 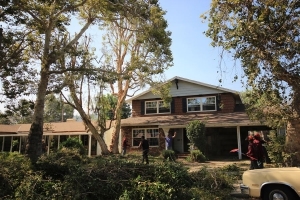 Tree removal and tree trimming services in Los Angeles is an exercise that is challenging for you to do it yourself. You should hire a company offering tree services to advice you on the best service that suits your trees. The company will decide whether Tree Removal in Los Angeles or Tree Trimming in Los Angeles is the best depending on the size and nature of your trees. Gather enough information on various tree service company providers and use that information in selecting the right company to hire. At Your Way Tree Service Inc we have a team of highly trained professionals who are well trained on all tree services. They have skills to carry out the different tree services efficiently. We also have experienced professionals who have been providing tree services for many years. They understand every aspect involving tree services due to the different services we have providing to various individuals and companies. We have a workmen’s compensation insurance cover that covers our employees and your properties while we are on your site. Hence you should not bother yourself of what will happen in case a tree falls in your house or any of our equipments. We are also registered by the relevant authority hence assuring you that our services are up to the standard. In case of any mistake done by our employees will always accept it and fix it at our cost. We guarantee primary attention to your property and employees. This motivates our staffs and hence they offer the best services because they are always delighted. Any suggestion that you may have aimed at making your trees the best will be considered by our staffs so as to ensure you get the best nature’s air conditioners. Another reason as to why you should consider hiring Your Way Tree Service Inc is because we always sterilize our equipments before and after every work. This is a measure that we undertake so as to prevent disease infection of our trees. 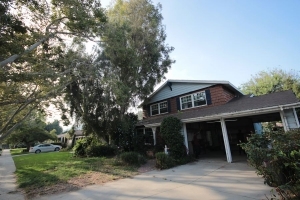 Do not hesitate to contact us for Tree Trimming in Los Angeles so your compound can have the best air conditioning that nature can provide you.